In the meantime, Uncle Joey has summoned Shelby to his office, where she runs into her former nemesis. Shelby inadvertently hears something that makes her fear for the lives of Uncle Joey and his hit-man Ramos. This time, Uncle Joey is not sure he wants to involve Shelby in something he knows could get her killed. Keeping Shelby's involvement to a minimum has disastrous results, sending Shelby on a dangerous path. As her investigation unfolds, Shelby finds death at every turn, and soon realizes she is in over her head. Can she escape from danger in time? Or will she find herself deep in death? 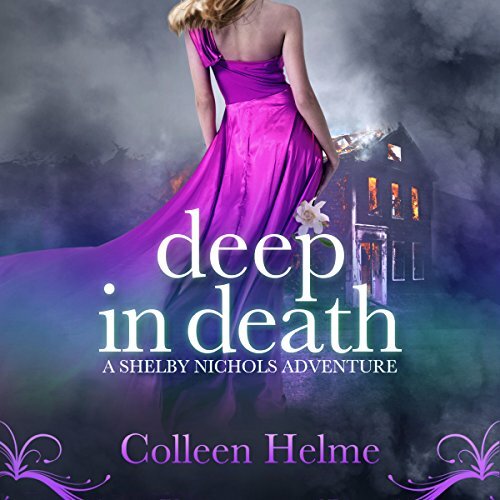 Deep in Death is Volume 6 in the terrific Shelby Nichols Adventures series which is likely best known for its balance of suspense and humor; this one contains humor but intense suspense drives this novel. Shelby is almost recovered from her gunshot injury to her arm and is ready to take on clients again. Her first case is a young woman about to be married who wants to find out what happened to her mother who disappeared several years ago. Of course her mobster friend &quot;Uncle&quot; Joey also has some work for her so her dear friend Ramos, Uncle Joey's enforcer and hit man, is also involved. Like in the prior novel in the series Shelby's husband Chris also plays a major role. Shelby uncovers a serial murder when looking for the young woman's mother. After getting shot in her last adventure, Shelby Nichols wants to stay out of trouble, at least for a while. Things, however, never go as planned. Taking on a new case, Shelby is looking in to the disappearance of her client’s mother, Darcy Shaw. In order to figure out what happened to her, Shelby looks into the mother’s old acquaintances. Digging up old relationships, however, uncovers a serial killer. Fitting the killer’s perfect victim, he plans to make Shelby his next target. 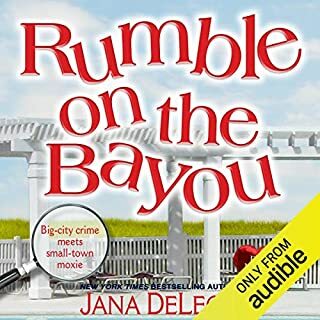 When Joey “the Knife” Manetto, aka Uncle Joey, and her friend, Ramos are caught in a yacht explosion, Shelby may find herself on her own with this case. Determined to figure out what happened to Joey and Ramos, and to get away from the killer, Shelby heads to their last known location, Seattle. Can Shelby solve both cases and come out alive? Narrator, Wendy Tremont King is a great complement to Colleen Helme’s book. Her unique voices bring to life Colleen’s well developed character and Shelby’s world. The character dynamics are spot on and make for an enjoyable, humorous read. The plot is complex, engaging, and keeps the reader guessing what’s going to happen next. The author expertly switches between internal and external dialogue and King smoothly handles them without missing a beat. Readers who have read the other books in the Shelby Nichols adventures won’t be disappointed. Newcomers to the Shelby scene will be able to easily pick up on the story line, but will be eager to listen to the others. Recommended for anyone who enjoys a fun, paranormal mystery with a bit of romance intermixed. Shelby ~ Mind Reading Super Sleuth! This was my first Shelby Nichols Adventures, and WOW what an amazing well written story. Since this was book six, I was concerned it would be confusing, and i would feel lost; however, Colleen provided just enough information in the story so we understand how Shelby got to where she is today. I did not feel confused or lost. It is a great standalone story. Looking forward to listening to other books in the series. Shelby gained the ability to read minds after she was shot in the head, and now has a consulting business to help solve cases using her mind reading skills. Her clients are unaware of her abilities but it is rumored Shelby has premonitions. Her newest client, a young lady needs help finding out what happened to her mother who went missing six years ago. While on the case, Shelby has some strange encounters that help her along the way with her investigation, and soon she suspects a serial killer was involved with the mother’s disappearance. While interviewing the potential suspect, she hears his thoughts, and learns she is his next intended victim. Shelby must find proof he did it before she comes up missing. In addition to her consulting business, she also works for the local mob boss, Joey The Knife. Joey is aware of her mind reading abilities, and uses them to gain information from people. Needing her assistance, he calls Shelby to a meeting where she hears thoughts that make her suspect Joey and his hit man Ramos are in danger. After an attempt on their lives, she uses her abilities to help find out who tried to take them out. The narrator did a great job; I loved how she betrayed Joey's voice! Very entertaining story, and enjoyed every minute of it. 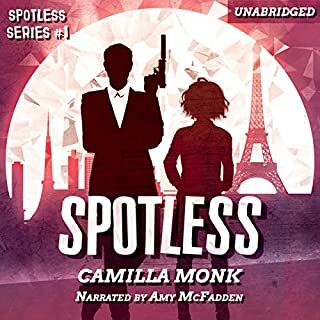 This audio book was provided by the author, narrator, or publisher at no cost in exchange for an unbiased review courtesy of Audiobook Blast dot com. Colleen Helme and Shelby Nichols simply do not disappoint in this 4.5-star book! This is a very good, highly addictive, clean, humorous book which is a great pleasure to read. 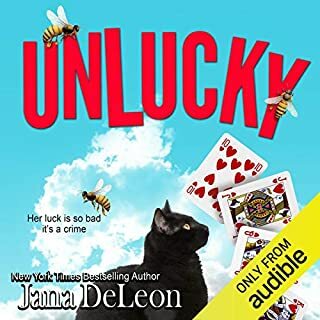 New readers and familiar fans of Ms Helme alike will enjoy this multi story line crime/mystery with its familiar humor and a touch of paranormal. 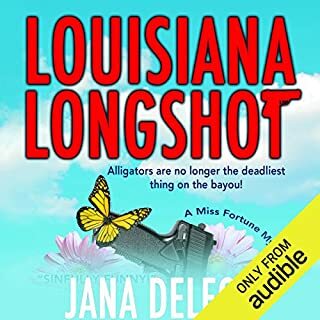 If you are interested in the audio version, Wendy Tremont King, the narrator, is absolutely the best fit with this author and this series! This is the sixth book in Ms Helme's Shelby Nichols Adventures stories, about an ordinary housewife turned police consultant after acquiring the ability to read minds from a head injury in the first book. In each book, Shelby stumbles headlong into trouble, but that's hardly a surprise when she acquires associates which include a mob-boss and his hit man. Like a magnet drawn to another, Shelby often finds herself in the wrong place at the right time and, with the help of a police detective, "Dimples", her husband, Chris, "Uncle" Joey (the mob boss) and Ramos (the eye-candy hit man), Shelby has too close of calls in dangerous situations, but somehow comes out only minimally scarred. 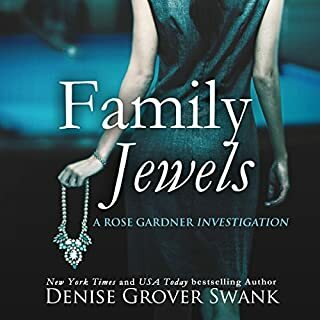 In this book, Shelby single-handedly solves a police case in the interrogation room, helps Uncle Joey uncover a underhanded upstart in his own organization, and also uncovers a serial murderer who has her in his sights as his next target. It's all in a week's work! 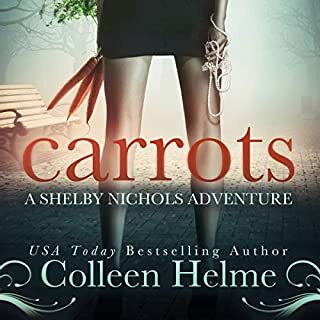 If you're have stumbled upon this review and this series, but haven't yet experienced Shelby Nichols, I strongly encourage you to dive into the first book, Carrots, and let the enjoyment begin. Though these stories are a part of a series, they can be read out of order, but I recommend the first book be read first to have your best introduction to the characters and Shelby's relationship with them. I received this book in audio form free of charge from the author in exchange for an honest review. If you look at my profile, you can see I have thoroughly enjoyed each audio book in this series. Not only are the stories themselves a treat to experience, the narrator, Wendy Tremont King, is an excellent fit for this series. Ms King's voice seems to ideally capture Ms Helme's intent perfectly. Ms. King excellently distinguishes each character with their own recognizable sound and incorporates the mood and emotion perfectly, including internal voices/thoughts and spoken voices. If you'll excuse me, please. I am now off to the next book! This was a lovely and loving story. Uncle Jackie's surprise was, well surprising! The only thing I wish for is, someone for Ramos. Regardless of his career, everyone deserves to be loved unconditionally. Shelby will never be his but he deserves someone just as special. I love how well mystery and romance blends so well in all of Ms. Helme's stories. Now it's on to the next one! The series is not losing any of it's luster. Either of the story lines in this installment could have been its own book. Already downloaded the next in the series, can't wait. Would you consider the audio edition of Deep in Death to be better than the print version? I enjoyed this book immensely! When Shelby climbed the stairs, I was scared too! Nope, glad it is not one and done!! ...your adventures just keep getting better. I can’t wait to listen to the next book in this series. I would recommend this book although I would suggest starting at the beginning. It was a nice, fun read but I found it a little bit confusing as I hadn't read the earlier books and felt that I had missed out on a lot of character development. I liked it enough that I would start over at the beginning.